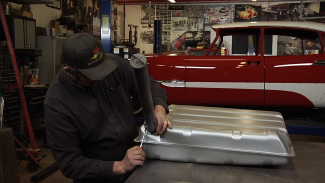 Brent Ackley and George Vondriska teach you how to locate the car engine and transmission mounts on a 1956 Chevrolet 150. 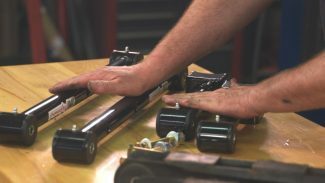 They walk you through the step-by-step process, demonstrating essential classic car maintenance techniques, including lowering the motor into place, torquing the mounts, and welding the joints. 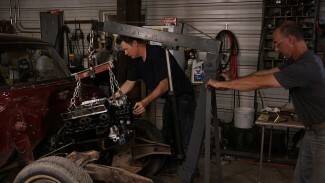 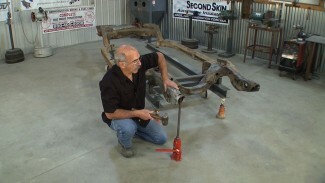 In this video, it’s time to get the body on the Chassis. 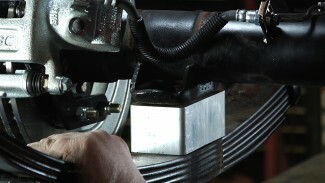 In one afternoon, the team puts the headliner and vinyl top on the car and also sets the glass in it. 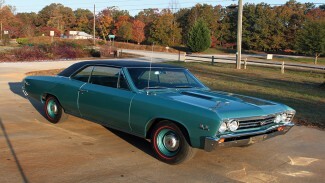 Both the headliner and top are original materials which really make the car look sharp!